From time to time, there have been some questions about Vibrant Life Radio. I wanted to create this page as a resource to answer at least some of them, so you and your community can enjoy the music we provide. Vibrant Life Radio is an online radio station, streaming 24/7, exclusively for the residents of the ISL communities. There is no charge to you for playing our music in your community. The music is a mix of popular songs and artists from 1950 through 1979. It is commercial-free, and free to stream for all of the ISL communities. It is also licensed, covering ASCAP, BMI, SESAC and Sound Exchange, so it can be played throughout all communities, in common areas or in residents’ homes. Please note that the licensing only covers Vibrant Life Radio. You will need other licensing for any other music that you play for your residents. 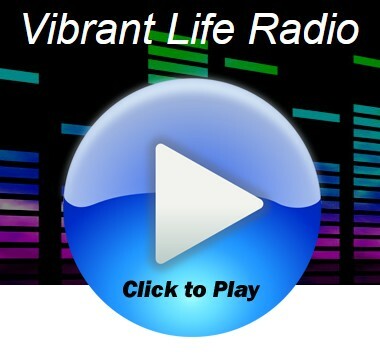 To listen, simply go to the front or home page of this website (www.vibrantliferadio.com). Click on the Click To Play image in the center of the page. The picture above is just for illustrative purposes and it doesn't do anything. Once you click on that on the front page, another page will open. This is the Stream Licensing page (which is how they monitor what gets played). At the top of the page, you will see the following image. You will need to click that to get to the music. Note, when you get to this page, you will see many other things below this image. Ignore all of that. It's for people that run stations through multiple platforms and are trying to reach listeners across the country and across the globe. None of that is needed for Vibrant Life Radio as our listeners are all in the ISL communities. Once you click that image, a player will pop up and begin playing the music. It will look something like the image below. The play button is just to the left of the song title. It should already be playing when it opens. If for some reason, you don't see the square in that circle, but a triangle instead, click it to start the music. 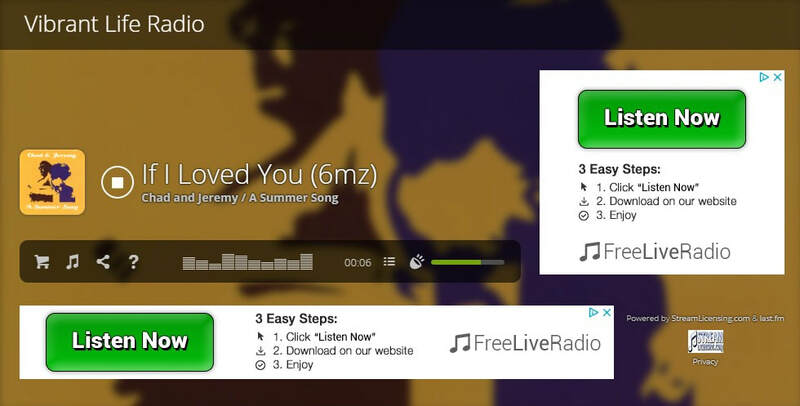 The LISTEN NOW box on the right and on the bottom are ads from Stream Licensing, so don't click those. The numbers and letters in parenthesis after the song title are a code Stream Licensing uses, and they are different for each song. This lets them know what song is played, and where royalties go. I have recently talked with a couple communities about launching additional stations, so that they could have one specifically tailored to their individual community (allowing for different music, announcements, events, request hours and other special programming). I would be happy to talk to you about doing this for your community if you’re interested. In the meantime, Vibrant Life Radio is on, free for you and your residents (exclusively run for all of the Integral Senior Living communities)! Please don’t hesitate to contact me at radioproducer1@yahoo.com if you have any questions!